Here is a good summary on using assertions. This is acceptable solution but at the cost of mechanical repetition. We could do better in F# ! 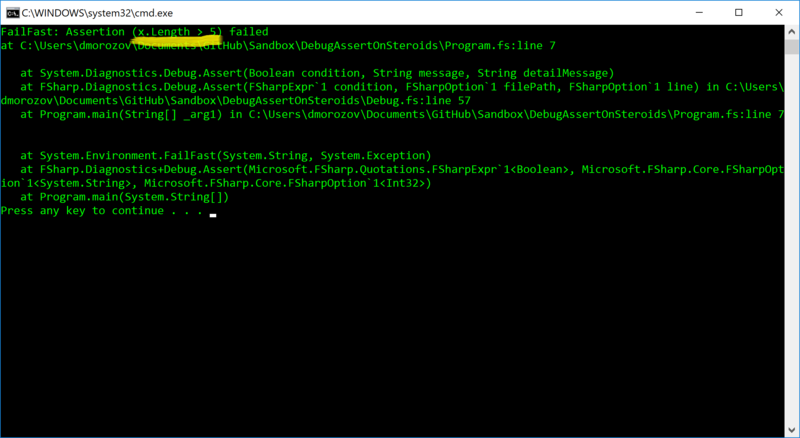 let args = xs |> List.map prettyPrinty |> String.concat","
You can add [<AutoOpen>] at the top of FSharp.Diagnostics module if you feel adventurous. 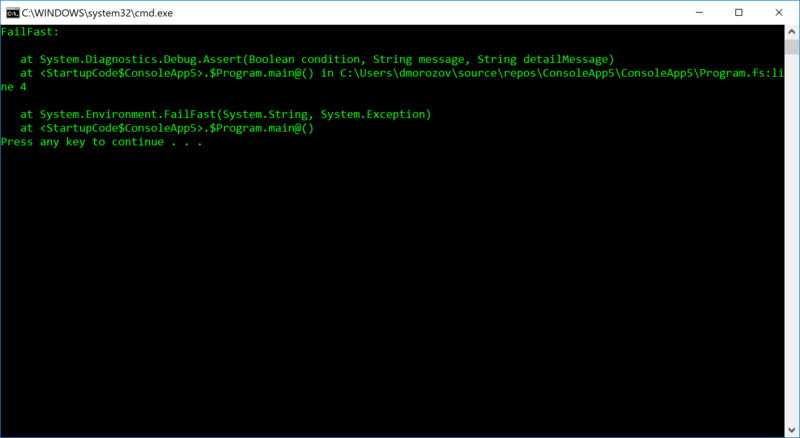 Both prettyPrint and LeafExpressionConverter.EvaluateQuotation are not equipped to deal with arbitrarily complex F# code. This is good because if you have complex expression as boolean condition for assert there is something wrong with your code. It’s possible that I missed some cases for prettyPrint. Feel free to extend it. Happy holidays F# community !